The BMI Foundation has named jazz composer Jon Schapiro the winner of the 4th Annual Charlie Parker Jazz Prize for his work, "A Bounce in Her Step." The $3,000 award, given to the writer of the best new work composed in the BMI Jazz Composers Workshop, was presented during the Workshop's annual showcase concert at Merkin Hall on July 17. Schapiro has also been commissioned to write another piece to be premiered at next year's concert. The commission is named in memory of the late Manny Albam, the Workshop's longtime Musical Director who passed away in 2001. 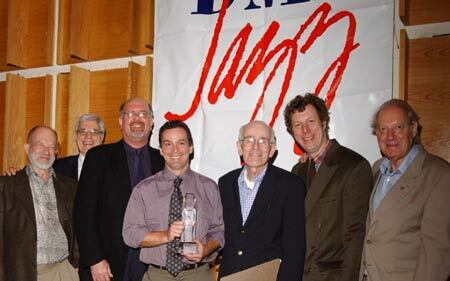 Schapiro's winning piece was selected from among three compositions by a panel of jazz experts, including Dan Morgenstern, writer/critic and Director of the Institute of Jazz Studies at Rutgers University; WKCR-FM's Paul Schaap, New York radio's renowned voice of jazz; and Bill Crow, noted jazz bass player and author. Schapiro has just completed his third year in the BMI Jazz Composers Workshop and is currently an adjunct instructor at Yeshiva University in New York, specifically at the Stern College for Women, where he teaches American Music: Jazz and Blues. As a composer, Jon has previously received commissions from the brass quintet Basic'ly Brass! and from the Dance in Education Fund. His arrangements can also be heard on Denise Jannah's US debut, I Was Born In Love With You on Blue Note Records. A native New Yorker, Jon has studied with David Berger at the Manhattan School of Music and with both Workshop Director Jim McNeely and Dinu Ghezzo at NYU, where he is a doctoral candidate in composition. While studying jazz composition and jazz history, he received a Bachelor of Arts from Brown University and a Master of Music from the Manhattan School of Music. 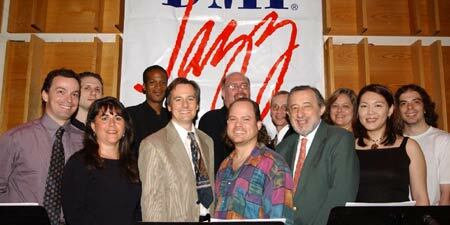 The BMI Jazz Composers Workshop is directed by pianists/composers/arrangers Jim McNeely and Michael Abene. The Workshop offers an environment where composers have the freedom to explore all avenues in the creative process with a focus on innovative large ensemble compositions in a collaborative environment. The BMI/New York Jazz Orchestra, an adjunct of the Workshop, is a 16-piece modern repertory ensemble featuring leading New York musicians who showcase new works regularly in concert and nightclub appearances.